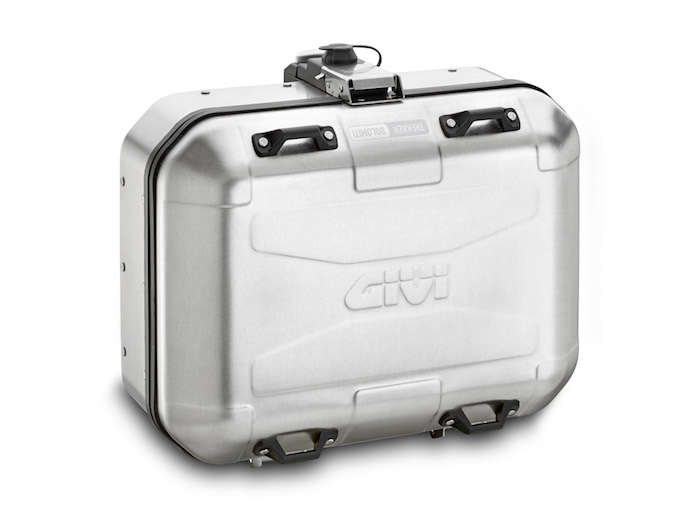 GIVI has added two new products to the already popular DOLOMITI aluminium pannier range – the DLM46 and the DLM30 top cases. 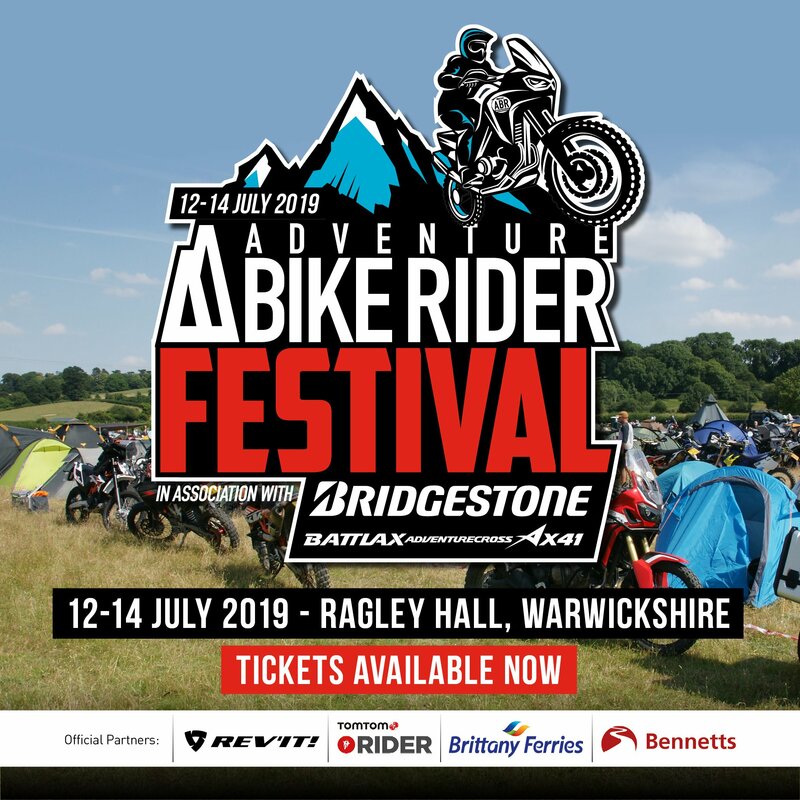 Named after the impressive Dolomites – a mountain range in the East Italian Alps – the DOLOMITI case range is also built to impress and designed to accompany riders along the world’s most spectacular mountain passes. The new cases are in keeping with the existing DOLOMITI range; made with the same robust materials – natural aluminium, and following the same sleek design. 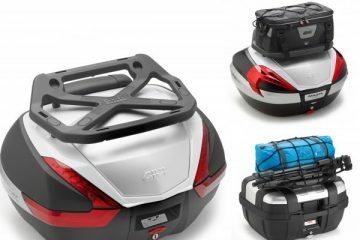 The DLM46 is the more spacious of the top cases, with a total 46-litre capacity. 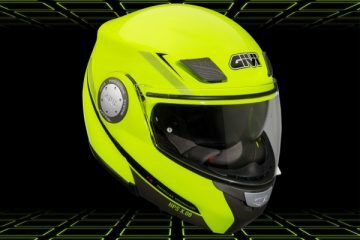 The case can store two helmets and is equipped with a security lock, dust-cover screw-top technology and can be used with a cargo bag and two thermal flasks. 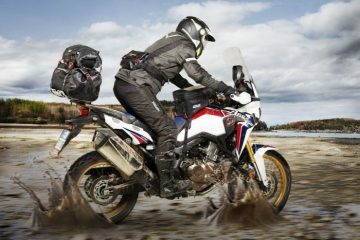 The DLM46 incorporates all the technical features of the much-loved TREKKER DOLOMITI – completely removable lid, quick lock screws to mount the case, maximum compatibility with GIVI’s PL/PLR fixing systems and four useful belt hooks – and retails at £279. 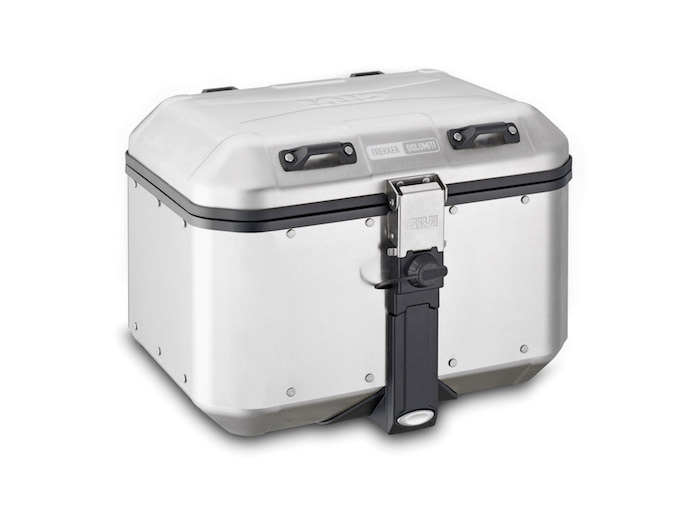 The DLM30 is a slightly smaller, stream-lined and compact case, with a capacity of 30-litres. 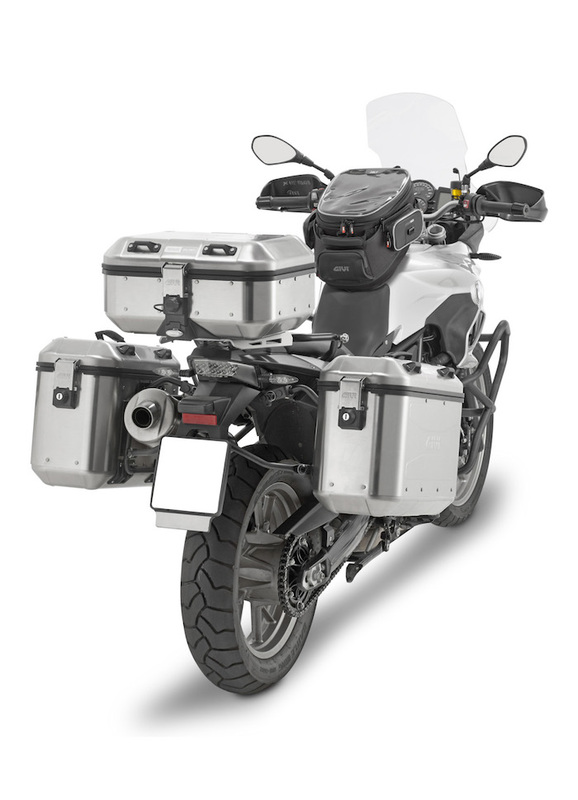 Developed for motorcycles like the Ducati Scrambler, the new Yamaha XSR700 and the Yamaha XSR900, the DLM30 is extremely versatile and can be used as either a top or side case. 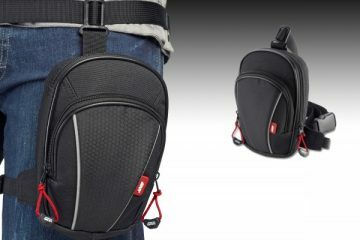 The case has an aluminium finish, belt straps for attaching other accessories from the DOLOMITI range, a standard security lock and space to store a 15inch laptop, and retails at £253.59. A range of tailored DOLOMITI accessories will be available for the new DLM46 and DLM30 top cases, including a waterproof inner bag, a modular cylindrical waterproof bag, strap belts and support for a thermal flask – adding to the versatility of the cases. 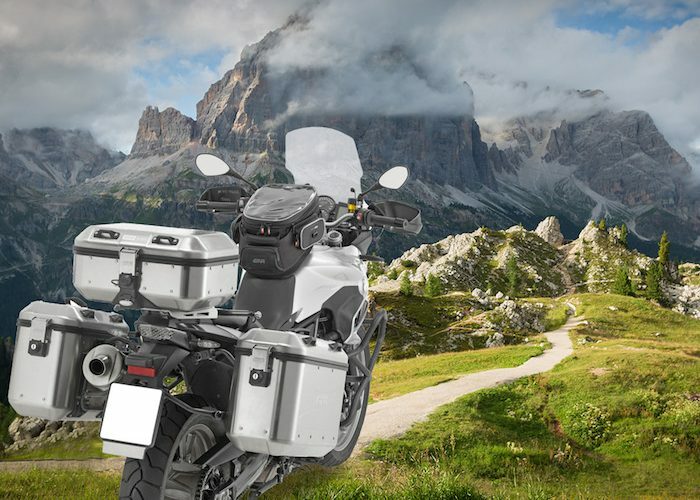 With these two new top cases, the DOLOMITI collection of aluminium luggage is more complete and ready to accompany any rider on their motorcycle adventure.